Pangolins are becoming increasingly known for the unfortunate distinction of being the most heavily trafficked mammal in the world, but a new study is shining a light on how brutal and unsustainable the trade is getting. The two-year study, which was conducted by researchers at the University of Oxford’s Wildlife Conservation Research Unit (WildCRU) and World Animal Protection, was examining traditional hunting practices in Assam, India, to see why pangolins were being killed and how valuable the market is there in an effort to develop solutions to protect them. Undercover footage taken by researchers as part of that study has exposed the cruel reality of the trade in pangolins by capturing the heartbreaking slaughter of one who was hunted and killed for its body parts. According to World Animal Protection, the terrified pangolin tried to hide from hunters in a hollowed-out tree while they tugged on her tail. They used axes to cut the tree, but when that failed they lit a fire to smoke her out. She tried to run, but was captured before being taken back to a hut and bludgeoned with a machete before being thrown in boiling water. Sadly, these shy, gentle and unique little creatures are being hunted to the brink of extinction for both their meat, which is considered a delicacy by the affluent in some countries, and for their scales, which are mistakenly believed to have medicinal properties. According to the IUCN, more than one million have been poached between 2003 and 2013, which breaks down to one pangolin being taken from the wild every five minutes. 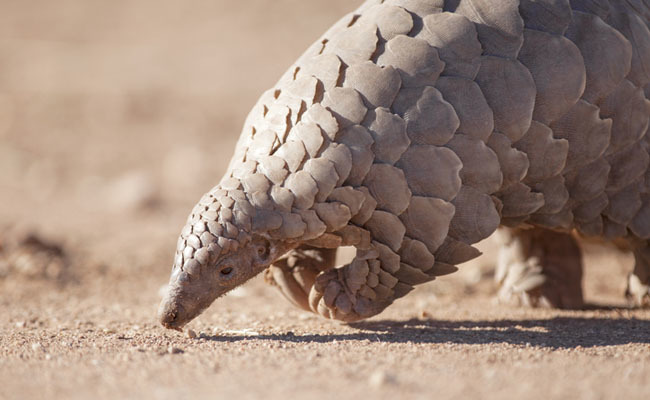 In response, the study’s authors are calling for changes to protect pangolins from the illegal wildlife trade, including stronger enforcement of national and international laws intended to protect them, their removal from the Pharmacopoeia of the People’s Republic of China to reduce their use in traditional medicine, along with the promotion of alternatives to pangolin parts, and increased partnerships to end the demand for pangolins. They’re also calling for measures that would alleviate poverty in rural communities that are being exploited by traffickers and support for alternative livelihoods so people don’t need to slaughter them for an income they can’t turn down.